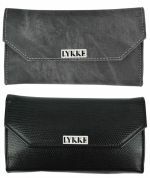 Lykke Interchangeable Needle Sets give you a wide range of needle sizes in a small package. 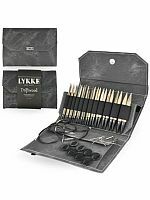 Individual 5″ tips and cords are also in stock. 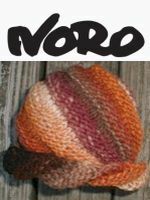 Do you know someone who wants to learn to knit? 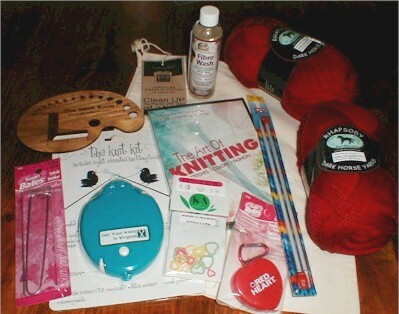 I have pulled together a gift bag with everything they need to get started, including enough yarn to make a scarf. A $100 value for just $50. 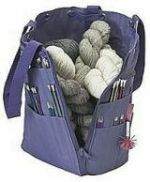 A Nantucket Bagg Model 522 Bag is a great way to tote a project around, with plenty of pockets for needles and other tools. 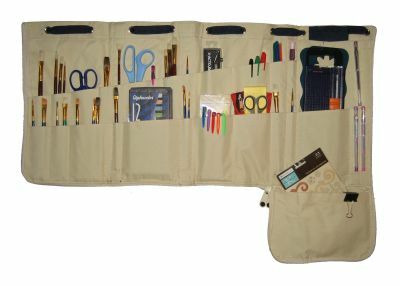 This bag can be used as a tote, roll, or backpack. 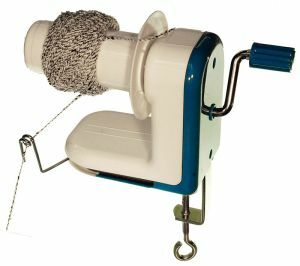 Yarn winders are used to make pull thread balls from hanks or skeins of yarn. 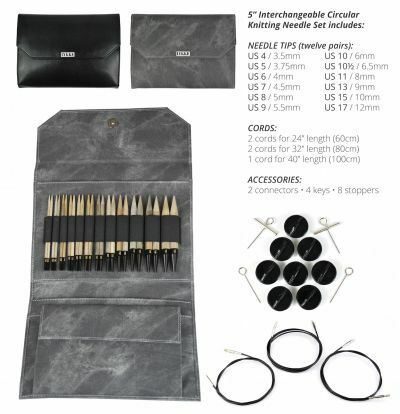 makes pull thread balls up to 4 oz. Craft lights such as the Mighty Bright XtraFlex2 LED Light provide task lighting for knitting, even in a dark room or the car. A Needle Gauge sorts out which needles are which size. 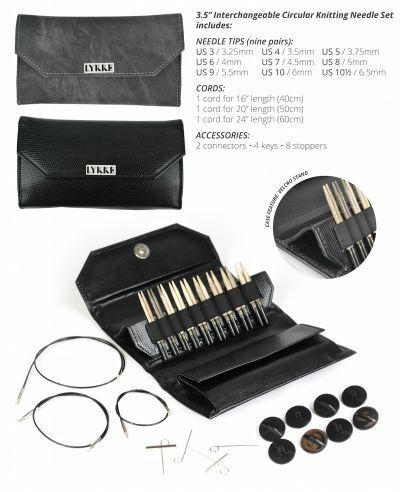 The gauge shown here also includes a handy ruler for checking stitch and row gauge, essential to make sure projects come out the expected size! 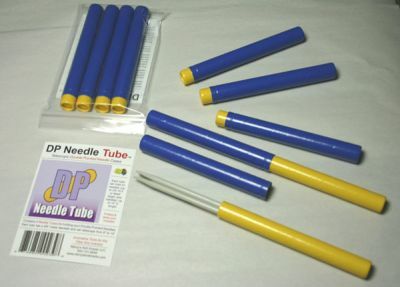 Nancy's Knit Knacks DP Needle Tubes or DP WIP Tubes protect double pointed needles in storage or while attached to a project. These would make excellent stocking stuffers. **Swifts and woolly boards are custom made. Please allow 2-3 weeks for delivery. Need more ideas? Please ask!